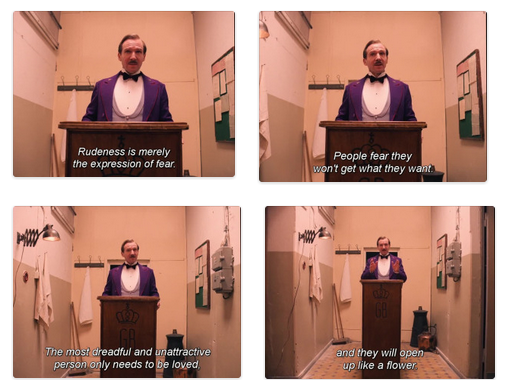 Wes Anderson deserves his own genre when it comes to film. I heard about the uniqueness that Anderson brings to his films, but this was the first time I experienced it first hand. Anderson took the meaning of indie film to a whole new level. In his most recent film, The Grand Budapest Hotel, he continued his streak to showcases his skills of creativity and individuality. I have heard enough buzz about Wes Anderson over the years so I decided it was finally time to check him out for myself. Overall, I was confused. I got lost in the plot and think I would have to re-watch the film to truly get the Anderson experience. The film did have some major high points however and overall was enjoyable, just non-stop. After watching the movie, I did a little research on the film. Anderson has a creative way of capturing the moment while expressing new ground in cinematography. The array of wide angles gives a whole perspective to the scene. The way the film is shot almost acts as another character in the scene. Anderson calls this methods, “tracking the shot.” He puts the camera on a rail and lets the camera go free. The method allows the camera to go left, right, and backwards, all in the same shot. This creates a new energy and gives more excitement to the film, even in the most boring scenes. Colors, patterns, and symmetry are not shy in this film. The hotel itself screams of bright purple with tons of geometric shapes. All of the sets are prim and proper bringing smiles to neat freaks everywhere. Also the props! Everything has a place and really makes the scene whole. And, who could not drool over the pastries that were made! Learn how to make it below! With the story line moving at such a fast pace, the dialogue was sure witty and quick. Anderson packed the conversation to keep it fast, but meaningful and engaging at the same time. to star in their films over and over again. David O’Russell and P.T. 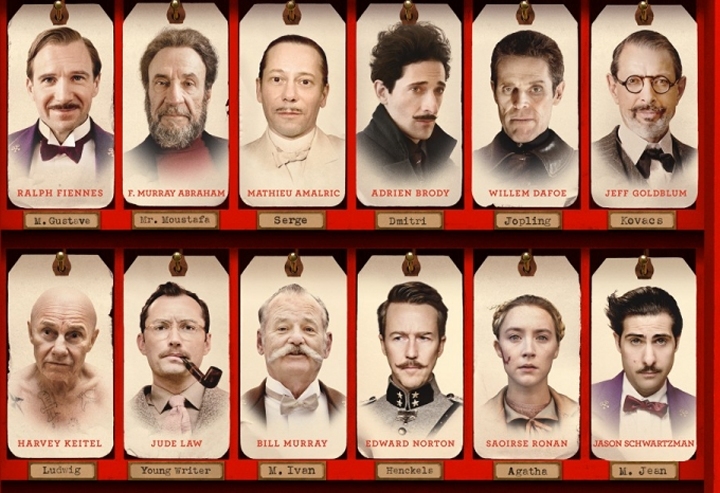 Anderson are perfect examples of having recurring actors in their films, and Wes Anderson is on board with this trend. Bill Murray, Luke and Owen Wilson, and Jason Schwartzman are a few people who have recurring roles. Even though it was the first Anderson film I saw, these actors all ready have a strong chemistry that is evident on screen.